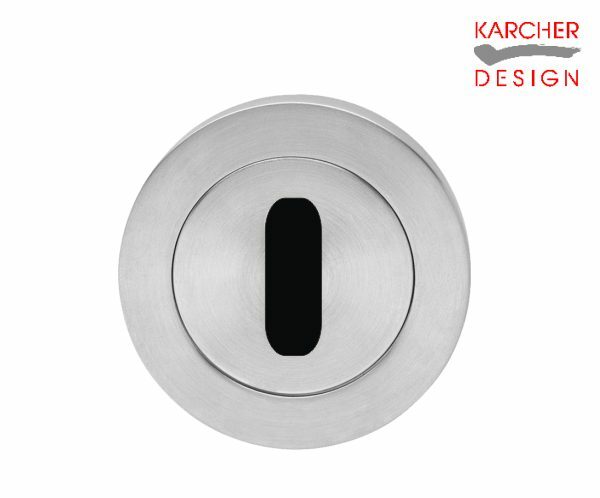 Karcher Jersey - Satin stainless steel (71) handle with 3 piece fixing rose. Karcher Kos - Satin stainless steel (71) handle with 3 piece fixing rose. Karcher Elba - Satin stainless steel (71) handle with 3 piece fixing rose. Karcher Corfu - Satin stainless steel (71) handle with 3 piece fixing rose. Karcher Malta - Satin stainless steel (71) handle with 3 piece fixing rose. Karcher Sylt - Satin stainless steel (71) handle with 3 piece fixing rose. Karcher Crete - Satin stainless steel (71) handle with 3 piece fixing rose. Karcher Rhodos - Satin stainless steel (71) handle with 3 piece fixing rose. Karcher Cyprus - Satin stainless steel (71) handle with 3 piece fixing rose. Karcher Corsica - Satin stainless steel (71) handle with 3 piece fixing rose. Karcher Tasmania - Satin stainless steel (71) handle with 3 piece fixing rose. Karcher Tokio - Satin stainless steel (71) handle with 3 piece fixing rose. Karcher Toronto - Satin stainless steel (71) handle with 3 piece fixing rose. Karcher Kioto - Satin stainless steel (71) handle with 3 piece fixing rose. Karcher Lima - Satin stainless steel (71) handle with 3 piece fixing rose. Karcher Futura - Satin stainless steel (71) handle with 3 piece fixing rose. Karcher Ontario - Satin stainless steel (71) handle with 3 piece fixing rose. Karcher Verona Steel - Satin stainless steel (71) handle with 3 piece fixing rose. Karcher Oregon - Satin stainless steel (71) handle with 3 piece fixing rose. Karcher Milano - Satin stainless steel (71) handle with 3 piece fixing rose. Karcher New York - Satin stainless steel (71) handle with 3 piece fixing rose. Karcher Miami - Satin stainless steel (71) handle with 3 piece fixing rose.